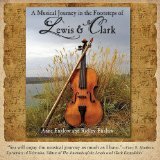 “From the first grab of the violinist’s bow, this is a CD that draws in the listener in a warm embrace and creates an intimate sound space, a virtual 18th-century parlor populated by superb musicians and engaging vocalists who sound as if they’ve grown together as one family, expressive and immediately responsive to one another’s nuances and inflections. 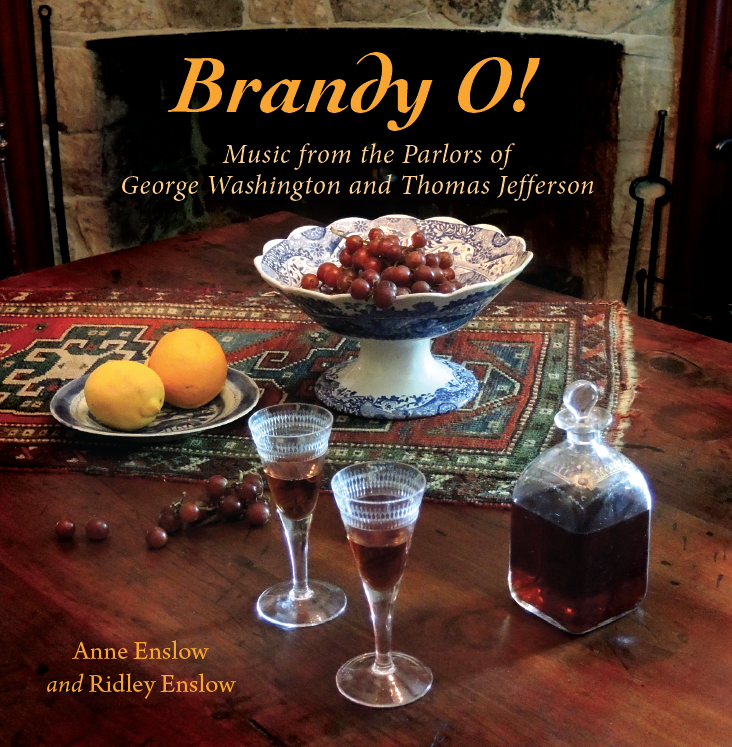 “The superb instrumental arrangements, sensitive and fetching performances, and vivid sound presence transport the listener to the domestic circle of singers and musicians at Mount Vernon and Monticello. The singing is so expressive that one can well imagine the facial expressions of the vocalists. 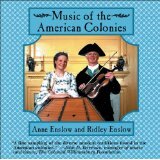 It’s a delight to hear songs sung by women of the Jefferson family, and the songs you sing from Nelly Custis’s collection give voice to this silent figure from American history. I look forward to sharing them with the teachers next summer in our National Endowment for the Humanities Summer Teaching Institute on American history through song. “The CD breathes life into these lyrics and musical texts from the dusty archives. Even the small ensembles such as dulcimer, violins, and cello are satisfyingly complete ensembles, with the musicians finely attuned to one another. ‘Here’s a Health’ and ‘Begone, Dull Care’ are immediate favorites because they sound both historically accurate and amazingly of our own time, simultaneously part of the colonial period’s sheet music and of the tradition of intimate harmony singing represented over the past half century in North America by the McGarrigle Sisters and folksinging. “Congratulations on an outstanding disc, every track filled with understanding, tenderness, creativity, and faithfulness to the lives and passions of the music’s original performers. 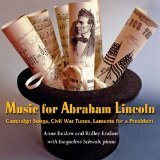 The versions on this recording invest each tune with the spirit of the hearts and voices of the men and women who suffered, hoped, and endured America’s Civil War. . . . 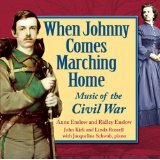 Recordings of Civil War music abound; this is the rare CD that transports its listeners to that time and place, and in the process reveals new discoveries and insights. 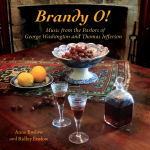 “From the very first notes through to the end, every performance bespeaks the musicianship of Americans in the 1860s. . . . . My first hearing brought many surprisingly new and touching encounters with this familiar material. For example, the simple naïveté of the tenor voice on the first track, “The Battle Cry of Freedom,” makes the song fresh, as if the young man had just enlisted in the army and his fears were audible despite the bravura of his words. The rendition of “Get Off the Track!” is—to my knowledge—the most intelligible and convincing version ever recorded . . . There are pieces I’ve never heard before on a record, such as “All Hail to Ulysses,” one of the countless hero songs that were published during the war. . . . This is the first time I’ve ever heard a performance of one of these songs that transformed it from a relic or curiosity to an appealing listening experience.